Apple is filled with information about what people can do to lead healthy, balanced lives. 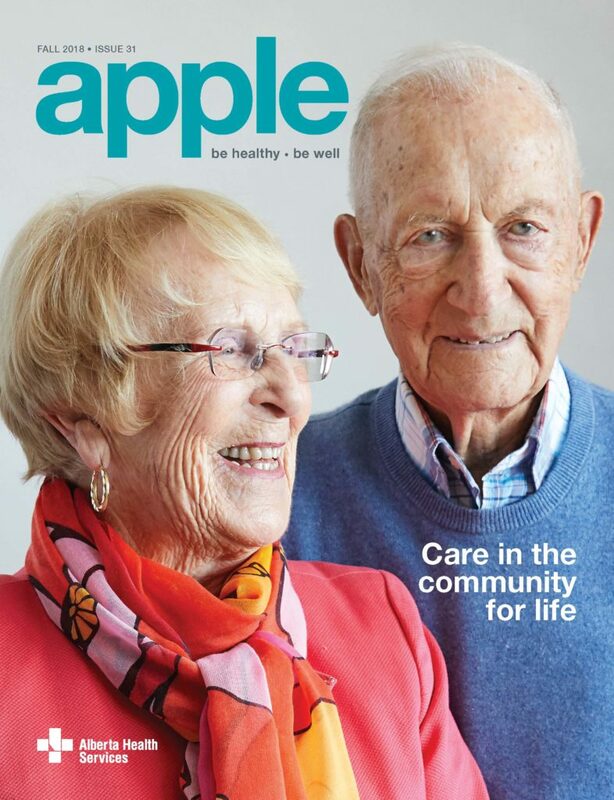 Our magazine features health issues and topics that matter to Albertans. We are distributed at more than 2,000 locations, including all Alberta Health Services sites in the province. #4126, 10101 Southport Road S.W.